• Muhammad Ali – Collecting Cards and Autographs of "The Greatest"
Muhammad Ali – Collecting Cards and Autographs of "The Greatest"
We all know that Muhammad Ali is one of the top sports figures of all time and a cultural icon. As a result, Ali is one of the most desirable names in the entire hobby. 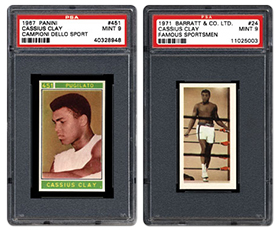 "The Greatest’s" autograph has always been at the top of the signature food chain, but what many collectors may not know is that there are also some very interesting trading cards that feature the iconic man. We take an in-depth look at collecting both in the next piece. Just in the last few months, huge names like Muhammad Ali and Gordie Howe have passed away. In times like these we tend to reflect on the lives of these legends, but we also reflect on our own lives. 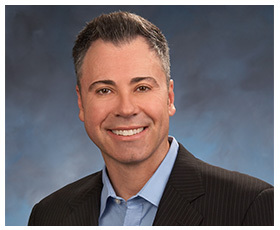 In the following editorial, PSA’s Joe Orlando shares his thoughts about this subject and explains how the endeavor of collecting plays into our attempt to preserve the memories of the past. Tom and Ellen Zappala have provided the hobby with two beautiful books during the past several years. 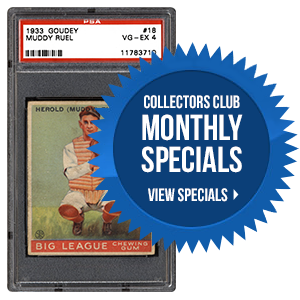 Each one covered a different baseball card set: 1909-11 T206 and 1914/1915 Cracker Jacks. This year, they have switched gears to baseball autographs. 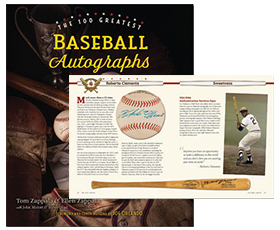 Along with Joe Orlando, Steve Grad and John Molori, their next book is finally here – The 100 Greatest Baseball Autographs. 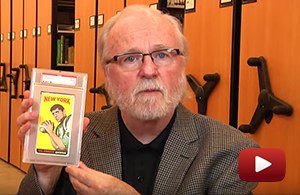 In the following interview, we find out more about this latest release. In your opinion, which of the following is the greatest baseball autograph of all time? 2016 PSA Set Registry Luncheon! The annual PSA Set Registry Luncheon will be held on Friday, August 5th in Atlantic City at the National. The RSVPs are in and we’ve got a full house. There will be giveaways, good food and great company. We look forward to seeing you all there! JP Sports "East Coast National"